I didn’t know it at the time, but what I thought was a productive run through Southern California scouting players for the 2014 Under Armour All-America Game would end up even more successful nearly a year-and-a-half after I returned home. I flew across the country on a Friday morning in April 2014, and was at my first game on Friday night. Another game Saturday morning, then over to the Ryan Lemmon Foundation Invitational for the rest of the day, followed a day of coverage at an Under Armour Baseball Factory National Tryout & College PREP event on Sunday. Click here for info on the players I saw on this trip. The next day, I drove south on the Five to the San Diego area to see OF Kyle Dean (a 2014 Under Armour All-America Game selection, and current freshman OF at Brigham Young University) play a Monday afternoon game at Poway High School. Their opponent, Eastlake High School, started a freshman third baseman named Ben Ramirez that day. It was clear then that he was going to be a player to be followed closely, and we heard his name many times from recommending scouts until we finally got eyes on him again in the fall of 2015 at the Under Armour Futures West Showcase. 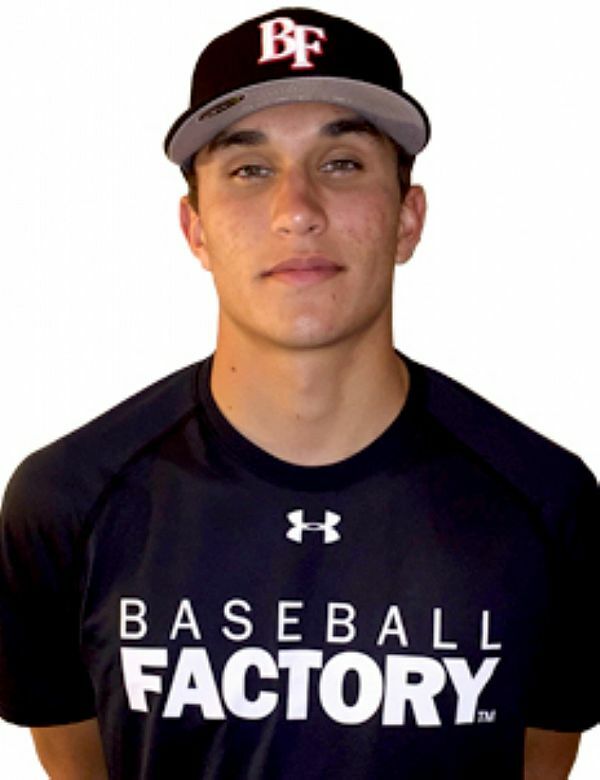 Much like 2015 Under Armour All-American Carter Kieboom, Ben Ramirez brings the athleticism and fielding ability of a shortstop to third base. The obvious difference between he and Kieboom is that Ramirez is a left-handed hitter, and he’s also built with longer limbs on what is likely a more projectable frame. He routed the barrel to contact on a direct path, bordering on inside out — allowing him to make hard contact to the big part of the ballpark, which seemed to be his preferred approach. He featured great rhythm with his hands, along with the ability to get the barrel to the ball against quality stuff from both right- and left-handed pitchers. The potential for at least three plus tools (arm strength is the third) was enough to move him up our board for the 2016 Under Armour All-America Game. 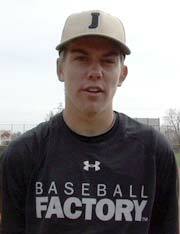 He was announced live on stage Friday, January 15 as one of only two infielders among the first ten players selected. I flew across the country on a Friday morning in April 2014, and was at my first game on Friday night. Another game Saturday morning, then over to the Ryan Lemmon Foundation Invitational for the rest of the day, followed a day of coverage at an Under Armour Baseball Factory National Tryout & College PREP event on Sunday. I saw C Chris Betts play a high school game at Blair Field in Long Beach on Friday night, and then saw 3B Brendon Davis play a high school game the next morning at Lakewood High School not far away. We saw Betts again on Sunday at the Under Armour Baseball Factory National Tryout & College PREP in Costa Mesa at Vanguard University, and invited him to play in the 2014 Under Armour All-America Game shortly afterwards. About ten months later the Tampa Bay Rays took him in the 2nd round of the 2015 MLB draft, he was the third catcher taken in that draft. We chose two eventual first rounders over Brendon Davis at third base that year for the Under Armour All-America Game — Ke’Bryan Hayes went 32nd to the Pirates, Ryan Mountcastle went 36th overall to the Orioles — and Davis went to be selected in the 5th round of the 2015 MLB draft by the Los Angeles Dodgers.